The importance of strong copy in advertising. 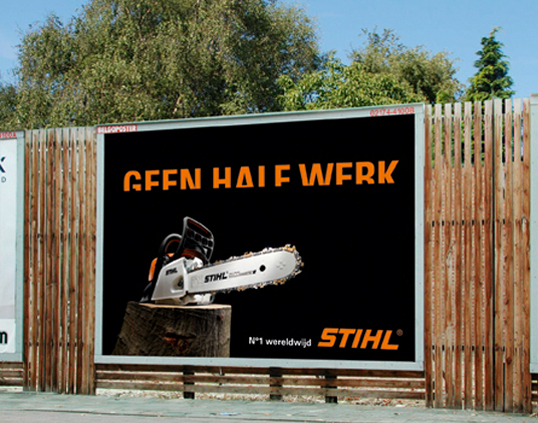 On the latest Stihl-campaign. 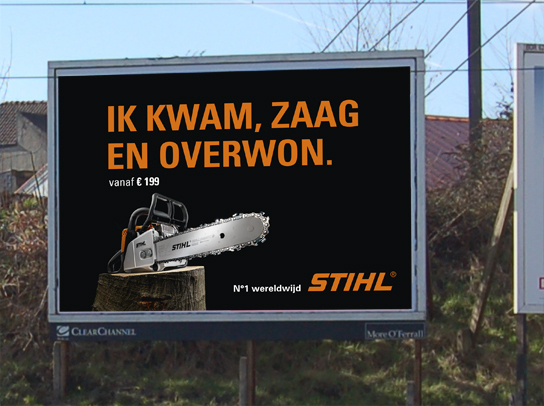 I like the latest adverts (see images below) of the saw manufacturer Stihl because they are based on strong copy. The importance of strong copy cannot be underestimated.